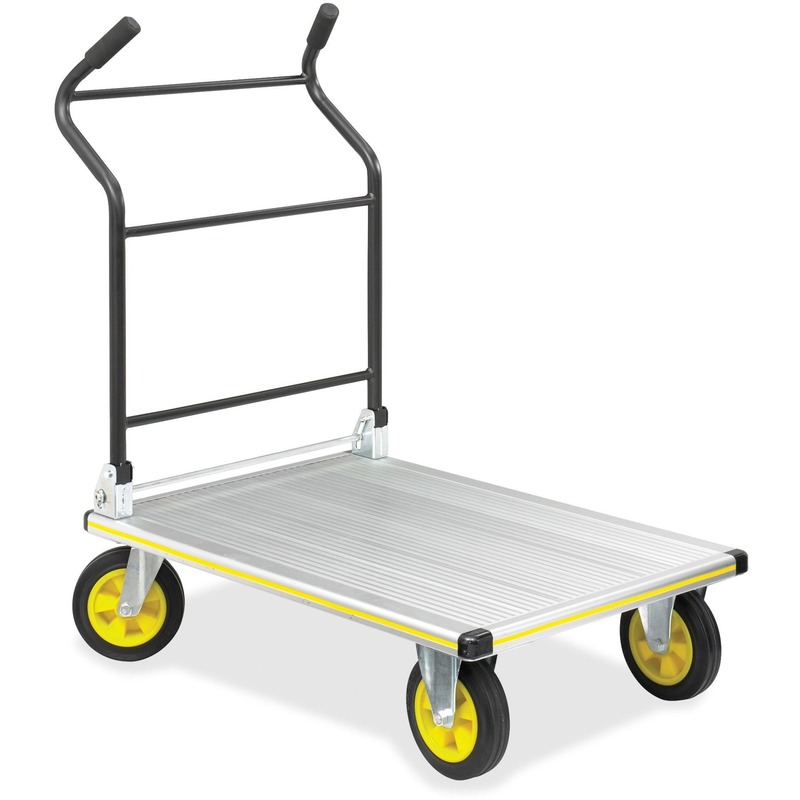 Folding platform truck features 1" tubular steel handles and a platform that is 5.5" from the floor. PVC Surround Bumper helps protect walls and furniture. 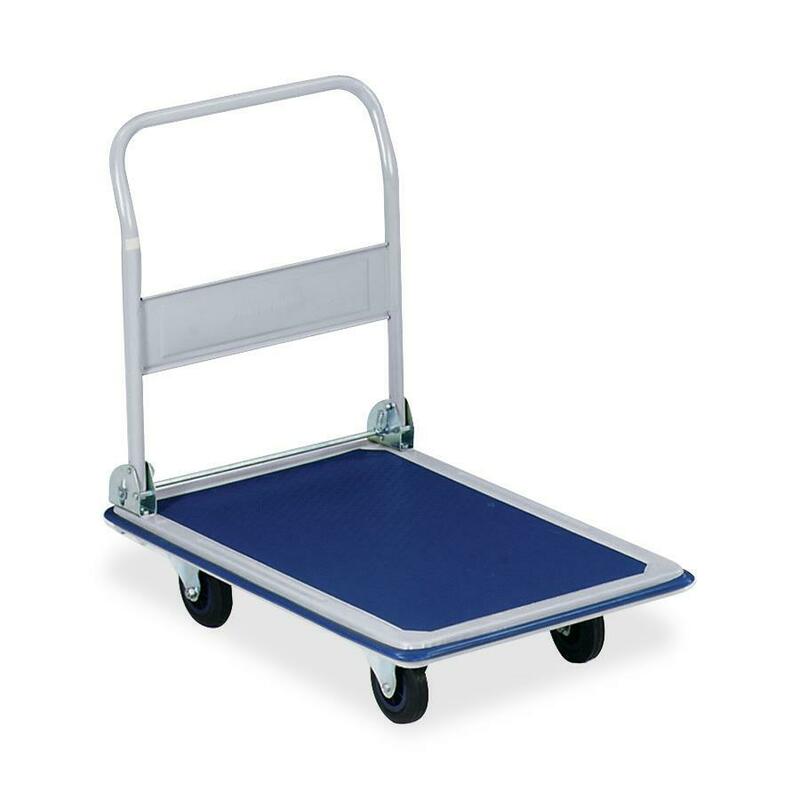 4" wheels are made of PVC. Handle folds down for easy storage. Platform truck holds up to 330 lb.